Home / Lean Startup Marketing: Invest your Time or your Money? Lean Startup Marketing - Invest Your Time or Your Money? The lean startup is virtually the de facto standard of the startup world today with rapid hypothesis testing, agile development, and incessant market and customer engagement. Savvy entrepreneurs who employ lean startup methodologies understand the importance of failing fast, learning continuously, and measuring everything. Lean startup marketing is no different. The catch-22 of startup marketing, of course, is that startups need marketing to build their brand, engage their markets, and acquire more customers. But without early revenue from those customers (or solid investor backing), there’s a shortage of money to make this happen. When it comes to driving product demand for a lean startup, there are two distinct choices in how to stay lean – invest your time or your money. As you walk towards the proverbial fork in the marketing road, you should choose which path to take. You might make the decision out of necessity—if you have limited financial resources and need to invest them into the product development, you must make time to market yourself. However, if you don’t have the time to allocate to marketing (learning or executing) you’ll need to find another route. Allocating money to marketing is the fastest way to get marketing efforts off the ground, particularly if you don’t have the expertise in-house. To develop a brand and generate demand simultaneously, investing in your website often yields the greatest initial ROI. 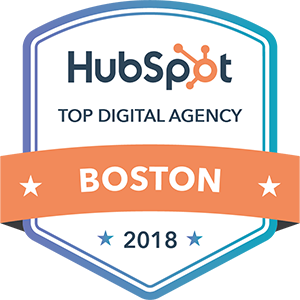 As part of this, you’ll want to work through your messaging and positioning, your visual look and feel, and determine the role your website should play in demand generation. Regarding the latter, it’s important to think of your website as more than a digital brochure: your website should be the backbone of all your digital marketing efforts, and as such, it’s important to build it in a way that aligns with your go-to-market plan. Email marketing. Purchase targeted contact lists, invest in a marketing automation tool, and work with outside marketing support to launch and manage lead generation campaigns. Search engine marketing. Optimize your website for search engines and launch Google AdWords or paid social campaigns for a measurable and incremental way to generate leads. Public relations. To go beyond the ‘quick hit’ demand generation, working with PR experts will help you raise awareness of your brand and drive a longer tail of interest. It is important to remember that just because you choose to invest money over time, that you still understand each tactic and monitor the ongoing ROI. The nice thing about digital marketing is that you get full visibility into the metrics in near real-time. For example, digital support system Bomgar Box Founder, Joel Bomgar, illustrates just how pivotal Google AdWords can be for a B2B startup: “Google AdWords was the fuel—it’s what got us off the ground”, said Bomgar. By tracking their metrics closely and optimizing over time, Bomgar Box was able to optimize their program to the point of generating $3 of revenue for every dollar they spent. Investing money isn’t the only way to grow a lean startup, and by committing regular time and effort to marketing activities, many startups have successfully grown with modest budgets. Startups like Dropbox and Hubspot have shown us—each employing a very distinct strategy—that investing time and creativity can go a long way. Content marketing. Develop valuable content that appeals to your market—whitepapers, blog posts, webinars—and you will raise your credibility and drive engagement with your target customers. Ensure you collecting their contact information on a landing page for this value-based content exchange so you can begin the dialogue with potential customers. Social media. Engage in two-way discussions with your target market by posing and responding to questions, sharing relevant content (your own and others’), and over time you will grow your following and influence. Marketing Partnerships. Build relationships with trade associations and complementary firms to speak at virtual and in-person events, contribute content to their blogs and publications, and send promotions to their newsletters. Nurturing authentic, mutually-beneficial relationships with like-minded organizations can be a cost-effective way to spread your reach. Firms like Dropbox, who prioritized a simple, focused website, developed a solid (and often re-tweaked) ‘refer a friend’ program, and provided relevant rewards (free storage!) for social sharing, proving that it doesn’t take big budgets to grow into a $4B dollar firm. The Moral: Choosing between the two methods isn’t always easy, and a hybrid approach is often a healthy path forward. Start with a solid understanding of the marketing plan your startup needs to succeed. “Magnetude’s Founders Guide to B2B Marketing” can provide a useful starting point. Then you can determine what you can do on your own, and what you need to source from an expert. Magnetude Consulting works with startups of all shapes and sizes, helping them determine their best-fit marketing plan and working with them to provide the education, guidance, or execution support to reach their goals. Contact us for a complimentary consultation.